It’s suitable for continues production with automation workflow, high performance, productivity, quality and reliability add up to a lower cost of owner-ship, that’s means cost saving for your business. 2. 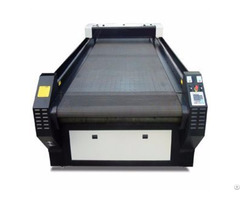 Suitable for end-user who has a high requirements on the precision of cutting, it is widely used for most of popular application such as garment, leather, toy, computer embroidery, handcraft, advertisement, decoration, building upholster, package materials, digital printing, paper products, etc. 6. Give the user best usablility&reliabilit y, higher acceleration and speed, plus high precision and accuracy. As example for general sport wear, daily production can be 500-800 sets. 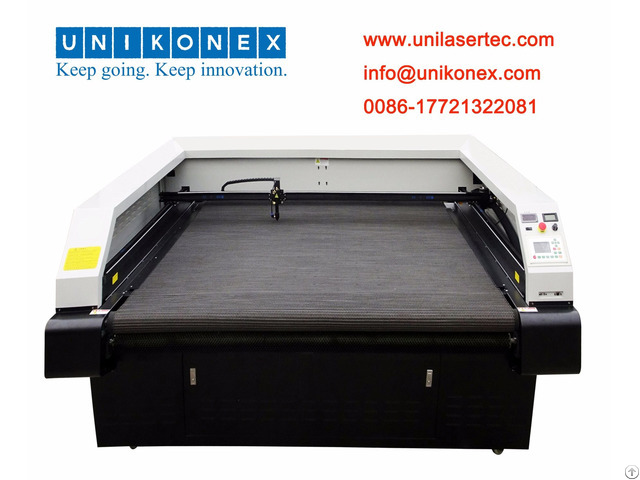 Posted By: Unikonex Technologies Co., Ltd.
Business Description: Unikonex as a professional laser system solution provider, we have established an extensive sales and service network, which enables us to provide quality products and services for clients.Unikonex is one of the important manufacturers of laser machines for engraving, cutting and marking. With our employees working with international sales channel, we offer our customers an international services and sales network. 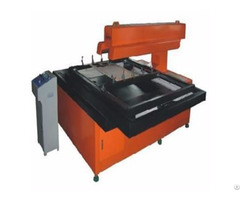 In addition to our state-of-the art CO2 and fiber laser machines, we offer our customers comprehensive services, such as technical advice, material tests and technical support by qualified service technicians.Unikonex is the recognized technological leader in the market for laser cutting machines and laser engravers. 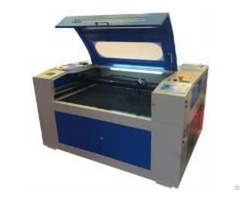 We understand this as the duty to continue developing and improving our laser machines for our customers.